One of the features of the Savage 99 that shooters of every striped loved was the swift and smooth lever action. The Savage 99’s forward looking design made the gun a staple of riflemen for nearly 100 years. Most guns are reactive products of their times, fulfilling a need that exists. But the Savage 99 was ahead of the curve, in both design and calibers. Moreover, it was invented by a man as remarkable as the rifle that bore his name. Arthur W. Savage was born in Jamaica, in 1857. The son of a British colonial official, he was schooled in England and the United States. While still in his twenties, he decided to seek adventure in Australia. He found it, for he was captured by Aborigines and held prisoner for more than a year. Finally gaining his freedom, Savage remained in Australia and created the largest cattle ranch that country had ever seen. He returned to Jamaica briefly before finally settling in Utica, New York, where he became the Superintendent of the Utica Belt Line Railroad. Evidently he had plenty of free time on that job, because on June 8, 1887, at just 30 years of age, Savage patented a rifle based upon the Martini lever-action system. By all accounts, the gun didn’t work. Undeterred, Savage kept at it, until he ended up with a rifle that featured a more conventional-looking finger-lever and a unique rotary magazine. With a group of financial backers in Utica, on April 5, 1894, the Savage Repeating Arms Company was founded. The rifle it produced was the Savage Model 1895, forerunner of the Model 99 and the world’s first hammerless lever-action. Moreover, the solid brass internal magazine was revolutionary, in the most literal sense of that word. Looking somewhat like a can opener wedged in the receiver, it rotated within the action of the gun, aligning a fresh cartridge with every crank of the lever, thus making the Savage imminently suitable to the new, ballistically superior spitzer bullets. Mindful of its somewhat shaky financial footing, Savage subcontracted with the Marlin Firearms Company to produce tooling and manufacture the Savage Model 1895 rifles, which explains the “JM” stamp on their barrels. Although the goal of Arthur Savage was to secure a military contract with his unique rifle, the Army had already adopted the Model 1892 .30-40 Krag. So, in spite of the fact that the prototype featured a 30-inch barrel with a full-length military musket stock, Savage turned to the now-familiar half-stocked 26-inch barreled sporting rifle version (along with a much less commonly found 20-inch barreled carbine), to appeal to the civilian market. The Savage 1895 was only chambered for the .303 Savage, a round developed especially for it and ballistically equivalent to the then-new Winchester .30-30. It is obvious Savage wanted to compete with this smokeless powder cartridge on a proprietary basis. In addition to its hammerless feature and rotating magazine, another distinguishing feature of the Model 1895 was a hole in the top of the bolt through which the firing pin could be seen. When the rifle was cocked, a stamped letter “C” was visible though the hole; when fired, the letter “F” appeared. Almost needless to say, this “safety” feature caused problems with rain and debris. Consequently, a number of improvements evolved over the next four years, culminating in the new Savage Model 1899. Looking into a Savage 99’s receiver, the gun revolutionary rotary magazine is easily seen. The advancement allowed the gun to utilize the then new and ballistically superior spitzer bullets. The Savage 99 (as it was later called) emerged with all the attributes of a lever-action destined for the twentieth century. Small wonder it would remain in production, off and on, for the next 98 years. Its sleek, straight-gripped walnut stock, schnabel-tipped fore-end, and slim receiver combined to produce a handsome, well-balanced gun that was fast pointing and easy to carry, as its weight was centered in the receiver by virtue of the six-shot rotating magazine. A coil mainspring provided an extremely fast lock time, and the viewing hole on the bolt was replaced by an oblong post—easy to see and feel—that popped up from the top of the bolt when the rifle was cocked. Later, around 1908, this cocking indicator was redesigned as a steel pin on the upper tang. Another notable innovation, a small oval hole on the left side of the receiver, revealed a brass cartridge counter that displayed the number of rounds left in the magazine. Fired casings were smartly ejected to the side, even though the Model 99 did not come drilled and taped for scope mounts until the 1950s. Until then, a wide variety of factory-supplied tang sights and open iron sights were the norm. Initial chamberings were for the .303 Savage, as well as Winchester’s .30-30, with scarcer variations in .25-35, .32-40, and .38-55. Some of Savage’s more popular Model 99 calibers over the years included the .22 Hi-Power, brought out in 1912, and the classic .300 Savage, introduced in 1920, a round that was a stubby-necked equivalent to the .30-06 (for which the Model 99 action was too short). To me, the cartridge most representative of the Model 99 is the .250-3000 (or the Savage .250, as it is known today), which came out in 1914. Its nomenclature was derived from the fact that the original 87-grain bullet was the first factory round to crack the 3,000 fps barrier. That feat all of itself gave the Model 99 another boost in notoriety among early twentieth century hunters. Even today, a Model 99 in .250-3000 remains a potent pairing for whitetail and antelope, although the cartridge is now offered in a heavier 100-grain bullet, which doesn’t travel quite as fast. In the latter years of its life, the Savage 99 proved adaptable to numerous “modern” chamberings, including the .308 and .358 Winchester. In 1919 a notable event occurred in the annals of Savage history—and firearms advertising. A Native American named Chief Lame Deer contacted Arthur Savage in the hope of procuring a number of the highly esteemed Model 99s for use on his reservation. Savage agreed to sell his rifles to the tribe at a discount, if he could get their endorsement. To fully grasp the significance of this transaction, one must remember that this was an era in which many could still remember the Indian uprisings. The chief accepted and presented Savage with an image of his profile, which Savage promptly made part of the company logo. Thus, the rifle inventor’s surname took on a new and even more romanticized imagery. Savage went on to invent the detachable box magazine, which would appear many years later on the Savage 99C. He also became enraptured with building and racing automobiles and, in 1901, moved to California, where he established the Savage Tire Company in San Diego, and subsequently invented the radial tire. Sadly, Savage committed suicide in 1938 at the age of 81. Thankfully, his namesake rifles lived on. One of the features of the Savage 99 that shooters of every stripe loved was the swift and smooth lever action. Throughout its long and distinguished history, the Savage Model 99 was produced in many versions, including a takedown model introduced in 1909, and a 22-inch barreled short rifle which was made from 1899 until 1922. An octagon-barreled rifle—the 99B—was made from 1899 until 1922. There was also a Model 99 Featherweight supplied with a separate .410-bore smoothbore shotgun barrel (which had to be used as a single-shot, as the shells would not function in the rotary magazine). In 1960, the button safety on the lever was changed to a sliding tang version, and a new 99DL incorporated a Monte Carlo stock. That same year a low-cost 99E was brought out, without the famous cartridge counter and sporting a plain, uncheckered birch stock. But the most radical departure from the famous rifle’s logistics was the 99C, made in 1965 and, again in the late 1990s. This iteration featured a detachable four-shot clip, thus eschewing the famed rotary magazine. This, along with the pressed checkering (introduced in 1965), that replaced the hand-checkered workmanship of earlier years, were indications of the complexity of manufacturing the Model 99. Even an embellished Model 99CE (Centennial Edition), made to celebrate the company’s hundredth anniversary, came out one year late, in 1996, thus foretelling the gun’s demise. A great gun from inception, manufacturing costs and questionable manufacturing decisions combined to close the curtain on the Savage 99 in 1997. Thus, it barely missed making the centenary mark it so richly deserved—but, at least it made our bucket list. Editor’s Note: This article is an excerpt from Rick Hacker’s book 50 Famous Firearms You’ve Got to Own. In 50 Famous Firearms You’ve Got to Own, get firsthand the top 50 recommended guns from author Rick Hacker, a well-known expert with more than 30 years of experience writing about hunting, shooting, and collecting in America’s top gun magazines. 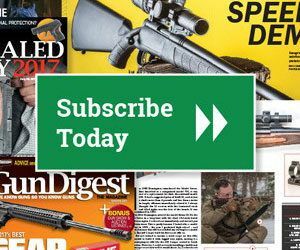 Want to know his opinion on which guns are the best all-around choices for shooting, investment, collecting, self-protection, and plinking? Get this book. Rick Hacker has written about guns for almost 40 years and is widely acknowledged as one of America's foremost firearms experts. A longtime contributor to titles such as Safari, Handguns, Rifle Shooter and Gun Digest, Hacker collects 19th and early 20th century firearms and has hunted with originals and replicas of these historic guns in Africa and North America. Major Error: The article says “Chief Lame Bear” — but the actual person was named “Chief Lame Deer”. Thank you for your sharp eye, both errors have been corrected. My son now has the .303 Savage that was given to me by my grandfather. I loved it even though it shot way high. I think that maybe the front sight had been worn down. It had the rotary magazine and it was a take-down model. Hey, the word is “needless” NOT “needles”.. Using spell check is not enough, you need to proofread also.Too many people think that spellcheck will correct all mistakes. The public already thinks we gun owners are ignorant hillbillies. I have a 99c in .308 that I got from my grandfather. What an awesome firearm.